Ana Vidović, distinguished Croatian guitarist, continues to surprise us with a variety and quality of her classical guitar interpretations of famous composers. We provide a small collection of videos describing her unprecedented success throughtout the world, ranking her among the best contemporary classical guitar musicians. She was born in the city of Karlovac in Croatia, and completed the study of classical guitar at the Academy of Music of the University of Zagreb, which she inscribed at the age of 13! We also provide an interesting interview with Ana conducted by Benjamin Verdery. Ana Vidović, distinguished classical guitarist, was born in the city of Karlovac, Croatia. Ana Vidović, distinguished Croatian guitarist, continues to surprise us with a variety and quality of her classical guitar interpretations of famous composers. We provide a small collection of videos describing her unprecedented success throughtout the world, ranking her among the best contemporary classical guitar musicians. 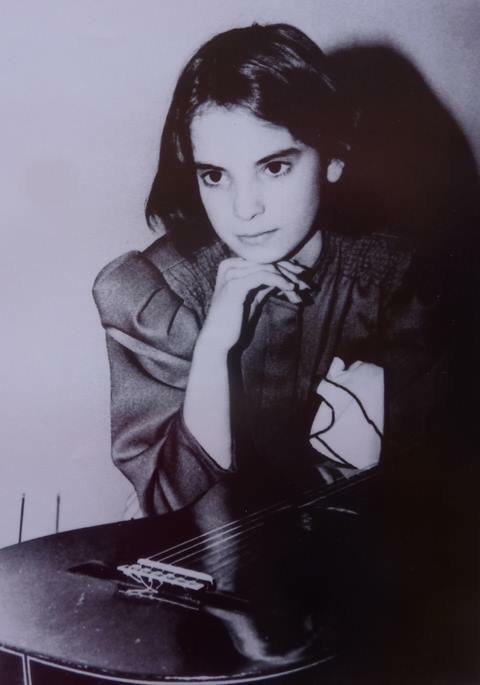 She was born in the city of Karlovac in Croatia, and completed the study of classical guitar at the Academy of Music of the University of Zagreb, which she inscribed at the age of 13! We also provide an interesting interview conducted with Ana by Benjamin Verdery.